"Sandbox" is the name of this 27" x 18" wall hanging. The balls seem to be floating or rolling in the sandbox... It is snowing today - this is the best I could do for a picture. I pieced the background from scraps of beige fabrics, just adding pieces here and there until I had fabric of the size I wanted. It was a fun way to use all those scraps! Making my own fabric was very relaxing as there was not a lot of measuring or planning going on. Then, I had apple cores from a class I took two and a half years ago using Quiltsmart interface. I had wanted to use them to make beach balls but did not have the right background for them, until this one came together. I positioned the apple cores to form the ball, fused and machine appliqued them using monofilament and a small zigzag stitch. 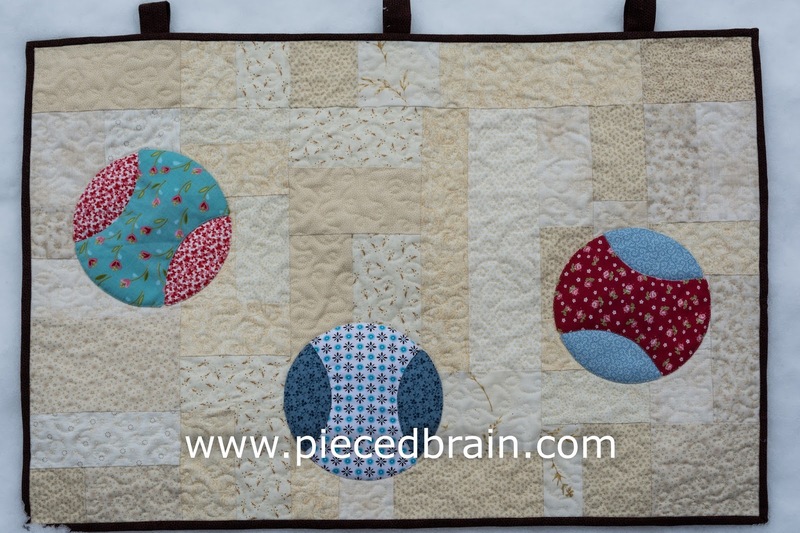 I used Aurifil 50wt for the piecing and Aurifil 28wt for the quilting, making loops as I imagined the balls' trajectory. 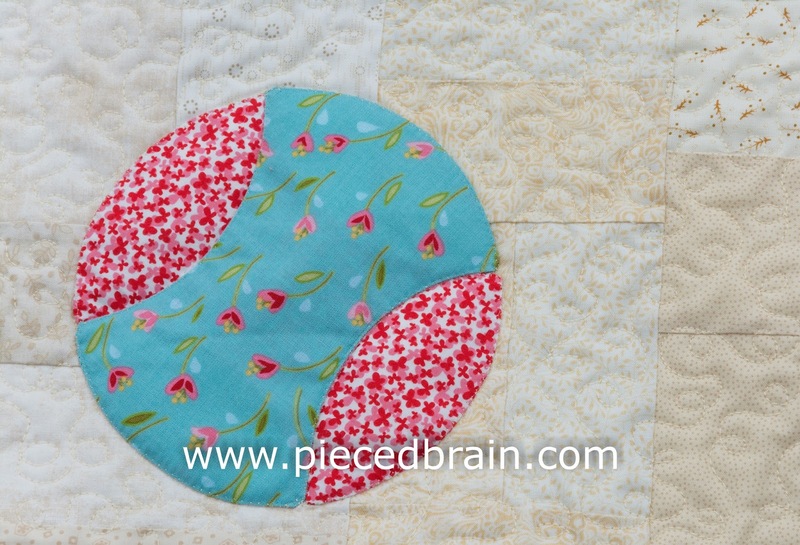 I really like Aurifil threads for piecing (hardly any lint) and for quilting (I have quilted with 50wt, 40wt, and 28wt, depending on the effect I want - always easy to handle and my Bernina likes it, too). I found the boxes at Hobby Lobby, perfect for what I had in mind. 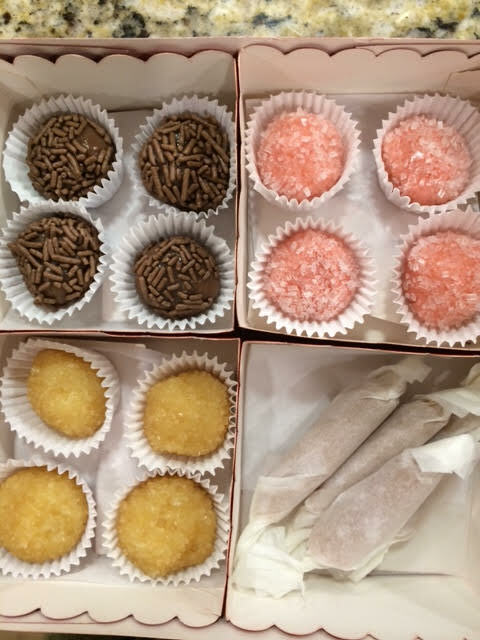 Today I am preparing more sweets, so no time for sewing. Thank you! I enjoy using QuiltSmart products, as well as using orphan blocks to make projects born out of serendipity!